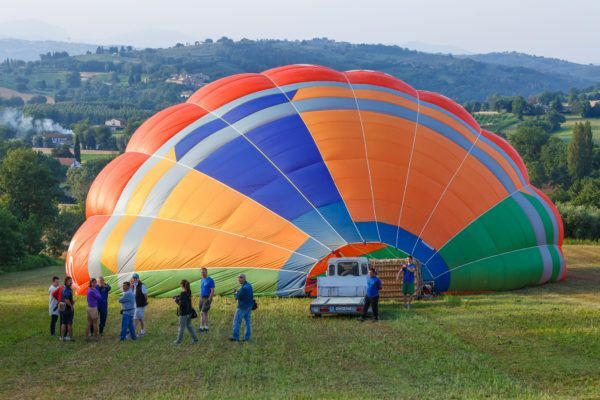 Our take-off site is only 300m from the meeting point. You can either walk among olive groves to the take off, or hop into our minibuses and go for a minute long drive. 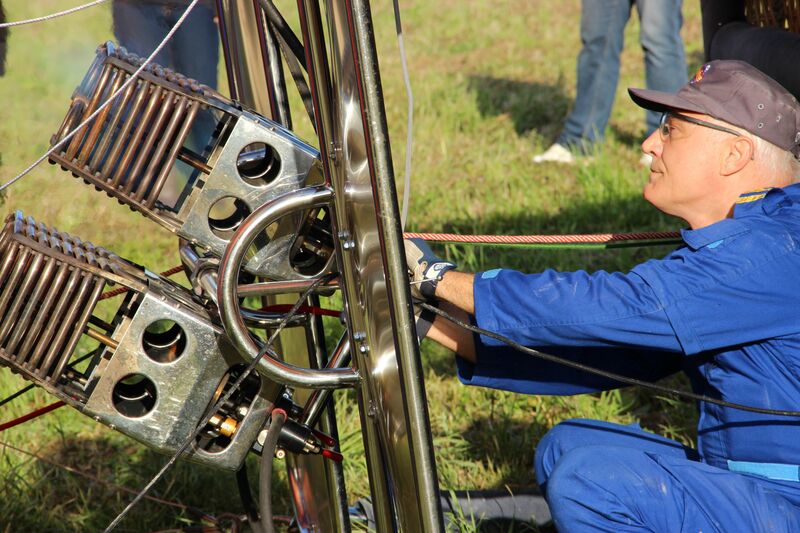 Your balloon will be prepared by our crew and ready to fly. 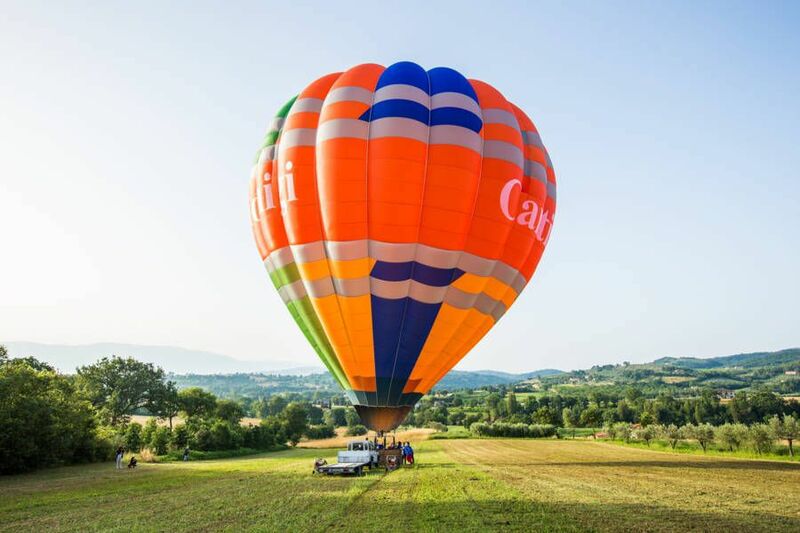 Our basket can accommodate from 8 up to 18 passengers, so there is plenty of space for you to admire the view as we fly over the green hills of the Umbrian countryside dotted with beautiful medieval cities and villages. 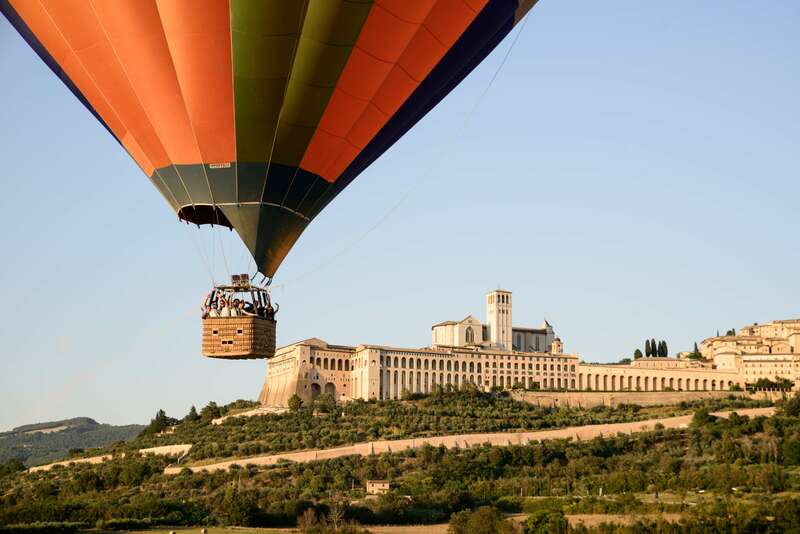 We are fortunate to take off in sight of one of the most revered sites in Italy: Assisi. Imagine, the air is calm, fresh, the land is quiet, and the farmers are just beginning to work on their land. A serene landscape that is unequaled in beauty. 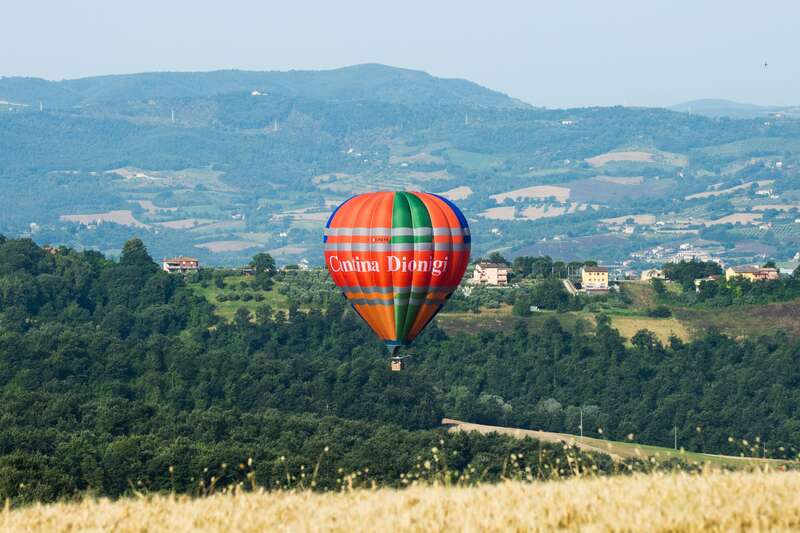 After your approximately one-hour Hot Air Balloon Ride, enjoy a smooth touchdown and step back onto “terra firma”. 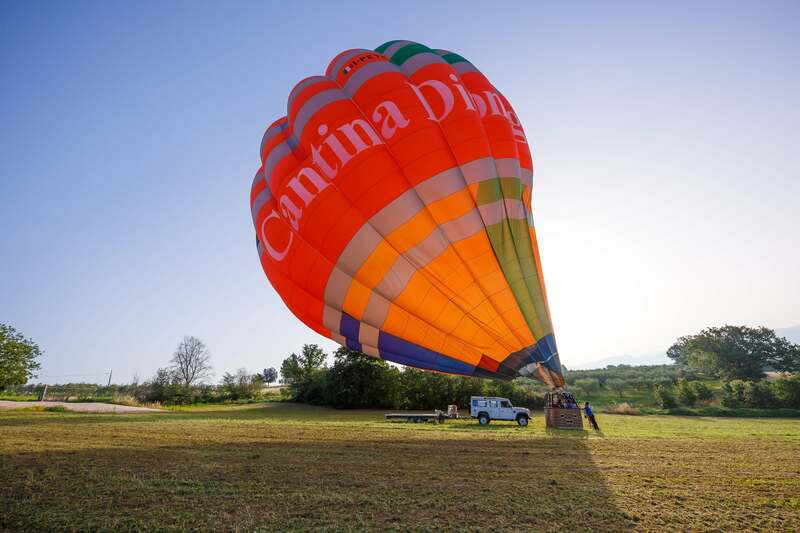 The fun continues when we take you back to Cantina Dionigi Winery to enjoy a great Umbrian style breakfast. If you are not opposed to drinking a bit of wine before midday, you may even like to sample some of their excellent wines! 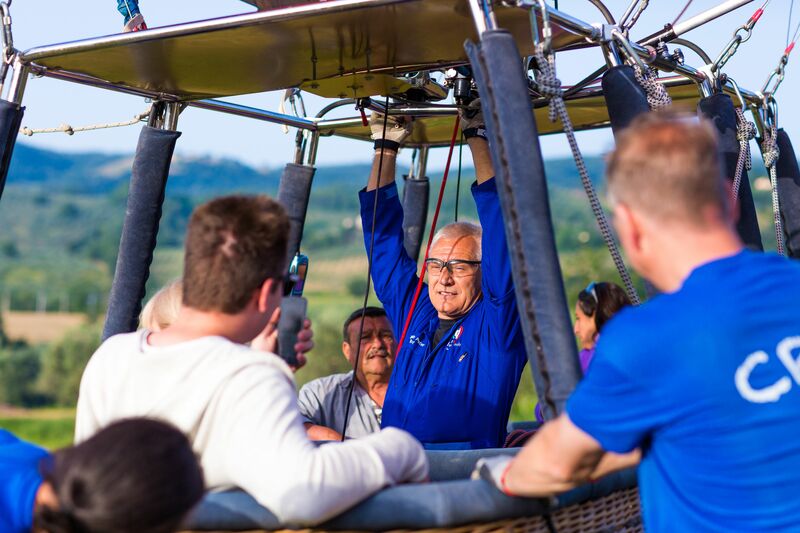 Join us for arguably the most beautiful balloon ride in the world! 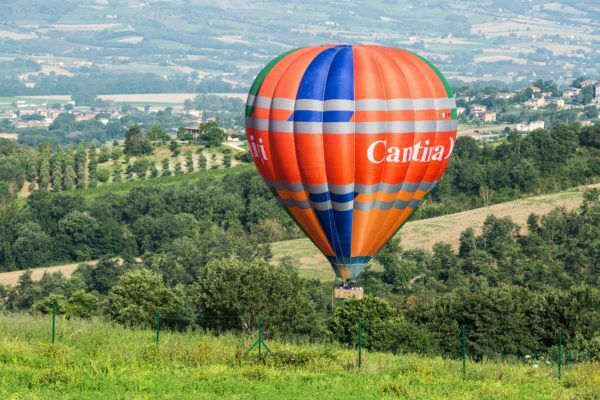 Fly with the most experienced pilot in Italy! Arrive at Cantina Dionigi. Please note that meeting time changes with the time of sunrise. Your exact time will be confirmed the evening before. Your flight (approximately one hour). From 08:30 AM to as long as you like… breakfast and wine tasting. EARLY BIRD SPECIAL FOR MAY ONLY! Offer is valid until 30th Of April!